Following a brief description earlier this month of AudaExplore, CCC and Mitchell’s reactions to inquiries into auto-renew policy, the Society of Collision Repair Specialists on Friday elaborated on its exchanges with the Big 3 database providers. SCRS members had expressed concern over the automatic renewal of contracts with the companies. Executive Director Aaron Schulenburg said April 8 at an open board meeting in Atlanta that SCRS supported the idea of auto-renew, but notification would be nice before shops are locked into a lengthy new contract. Following the inquiry by SCRS, AudaExplore cut the length of time contracts are auto-renewed to a year, Schulenburg said then; the other two made no change. 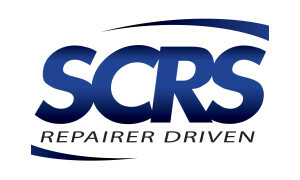 The Society of Collision Repair Specialists (SCRS) has received communication from our membership surrounding some of the standard terms and conditions found within your company’s license agreement. Specifically, there has been concern expressed surrounding the “evergreen” clause found in the terms of the agreement which commits the end-user to a perpetually renewing contract, unless the end-user provides written notice ninety (90) days prior to the conclusion of the existing term. SCRS, and your customers who have expressed concerns over the term condition, both understand the value of auto-renewal terms and commitments, and have no objection to the ongoing use of auto-renewal language. However, transparency between end-users and their service providers is important to our membership and we believe, to your full customer base. We are writing to better understand the reasoning behind your existing contract renewal process, and to inquire whether your company would consider adoption of a more proactive notification system prior to auto-renewal. With terms often extending for lengthy periods of time, many business owners do not have recollection of the exact date that the current term expires, or the date by which they have a duty to opt-out of the renewal if they so desire. It is our believe that your company would provide a great service to the industry by providing a written notification prior to the deadline for notification, reminding clients that their current contract term is ending, and that their subscription will be automatically renewed unless they provide written response within a defined period of time. This notification would seemingly protect your interest in a newly renewed contract term, and would provide the end-users the opportunity to responsibly manage their account. We understand that contracts between the service provider and the user are individual business agreements, but we hope that your company sees equal value in providing transparency in the transition between contract renewals. If there are reasons you are unable to adopt a more transparent notification process, we ask that you justify that reasoning so that we can pass that on to our membership. AudaExplore’s new one-year-only auto-renew will start June 1, and it will give existing clients that option on a case-by-case basis. The company also said it would look at a way to notify customers that their renewal was coming up. See what else AudaExplore said here. CCC pointed out how useful auto-renew was and that customers always had the option to tell CCC ahead of an auto-renew date they were leaving. See what else CCC said here. See what else Mitchell said here. Schulenburg said in Atlanta installing an auto-renew notification would have been ideal, but at least the databases took the association’s concern seriously. It doesn’t seem like a difficult computer programming feat to send out a your-contract-will-be-renewed soon; many of us have probably received similar automated notifications from various businesses telling us that something is coming up. “As software and technology companies, programming a notification solution for this industry need seems like it should present an opportunity for these companies to shine,” Dingman said in a statement. SCRS reminded any repairers to go over their contracts carefully to avoid surprises like an autorenew you didn’t want.